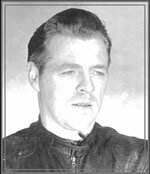 On the Canadian road racing scene in the late 1950’s through to perhaps the mid 1960’s, one name you would consistently see among the top runners was John Nelson. The British machinery of the day however, (the now highly prized and very collectable Manx Norton’s and Matchless G45 & G50 models), which John raced at that time was showing its age and becoming more of a challenge to maintain and keep competitive. Enter the Japanese era! John easily made the transition to the more modern, faster, lighter Yamaha and Honda race machines. In retrospect, he was perhaps a little more astute than most at the time, being among the first to abandon the beloved and traditional British race bikes in favour of the new Japanese brands. Although not necessarily planned this way, this early transition would ultimately lead to significant changes in John’s life. In addition to being a good racer, he was also a well rounded and competent a mechanic. As the sales of Japanese motorcycles escalated in the early 1960’s, the demand for people with his knowledge and skill sets also rose. In 1966 John opened his Honda dealership. Through the years that followed the Nelson Honda name became synonymous with racing, and now basically retired from racing, John turned to the role of sponsor. The list of riders that carried the Nelson Racing brand during that phase of Johns career is both extensive and impressive. They include among others Mike Duff, Ivor Lloyd, Yvon Duhamel, Dan Sorenson, Derek Mitchell, Norm Murphy and so on. Though well known as a competent road racer, and later a successful dealer and businessman, and prolific sponsor of top class riders, his most challenging and ultimate success would position John in a very special and exclusive place in Canadian motorcycling. For in 1975, John, along with long time friends Tom Faulds, Don Williams and Harry McCluney purchased a 200 acre property just east of Shannonville, Ontario. John sold his dealership, now Cycle World east, and moved to Belleville. He later went on to buy out the three partners and in essence Nelson International Raceway was born. With the exception of a 50 acre section on the south east corner of the property, (which was retained by Harry McCluney and developed as a dirt track), John ultimately went on to sell the race track, now renamed Shannonville Motorsport Park, but remained on as track manager. His investment, dedication and commitment to the race track spanned some thirty years, and during that time he worked unceasingly in continuous upgrades and improvements. There wasn’t much at the track that he couldn’t handle, or any piece of machinery he couldn’t operate. He literally put new meaning into the term “Hands on Management”. The results of his initiative and efforts have benefited literally generations of racers, and Shannonville has produced more than its share of champions, be it on two, three or four wheels. Impressive as John’s racing accomplishments, and contributions to motorcycling, and indeed motorsport in general across Canada may well be; perhaps the most impressive attribute, is that of the genuine nature of the man himself. Bearing remarkable personal characteristic traits and qualities to that of his fellow countryman the great Joey Dunlop, John too was in every way a modest unpretentious, humble and unassuming man, a great achiever, and a true friend to motorcycling and motorsport in Canada.